Just upgraded to Mojave and everything seems to be working OK but it seems that I can longer switch from Dark Mode to Light Mode in Screenflow. It seems to follow what I choose in the OS. Unless I forgot where the setting is but I know I was using Dark Mode before Mojave so I must have turned it on. I really like Dark Mode in Screenflow but don't like it on the rest of my Mac so I would prefer to use Light Mode on the Mac while using Dark Mode in Screenflow. Thanks. After changing it in ScreenFlow Preferences have your tried quitting and restarting ScreenFlow? It seems to be an 8.1 thing. This is what it looks like in 8.0 and 7.2. Kenny Gioia It may not be there in Mojave. It does follow the OS. It's there in High Sierra though. CraigS But it's there in Mojave if I use 8.0. Kenny Gioia 8.1 is our Mojave update. It's following the OS as we intend so it's not there in that version. We're going to update our User Guide to make that clear. 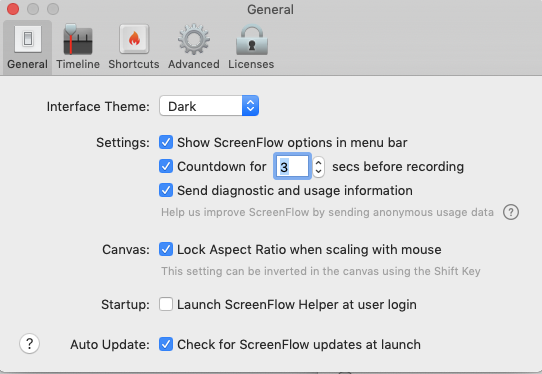 If you would like to see it return so you can use Light for the Mac and Dark specifically in ScreenFlow certainly fill out the feature request form and request it. CraigS Thanks. Just wanted to make sure I wasn't crazy and couldn't find it. Kenny Gioia The explanation on the difference between High Sierra and Mojave is missing from the User Guide. We're going to fix that in the meantime. I am using Mojave 10.14.2 and do NOT like dark mode on my Mac. However Screenflow 8.2.2 is forcing me to switch my Mac screen theme to Dark in order to get the advertised Dark Properties windows in Screenflow. The only reason I am choosing to use Dark theme in Screenflow (thru my Mac Preferences) is because the text properties in Screenflow are pretty much unreadable in light mode AND the advertised ability to switch to Dark theme within Screenflow has been removed by Telestream. I don't think this is a Feature Request so much as it is either a step backwards. BTW - it is now 2 months since you said that the User Guide would be fixed, but it still doesn't mention this issue. I spent 3 hours trying to figure this out, reinstalled Screenflow and submitted a support request only to then find this thread. Greg-N Sorry the User Guide hasn't been amended yet. These are the ScreenFlow Text Properties in Light Mode in 8.2.2. They seem easy to read for me. Greg-N Allowing the user to switch to Light Mode would be a feature request specific to Mojave. Apple expects applications to follow the Operating System settings and we do. Doing otherwise would not follow Apple's standard therefore must be a Request. Greg-N Yes that a Mojave specific issue. Using ScreenFlow in Light mode in High Sierra is readable just as other aspects are. 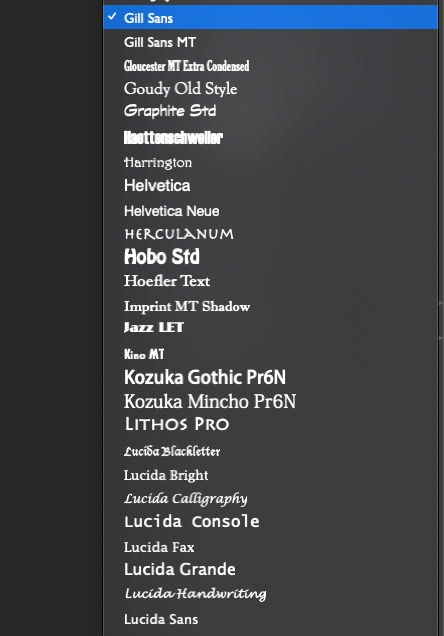 In Mojave when the OS is set to Light mode, the fonts are presented as you show them. Please report the issue. 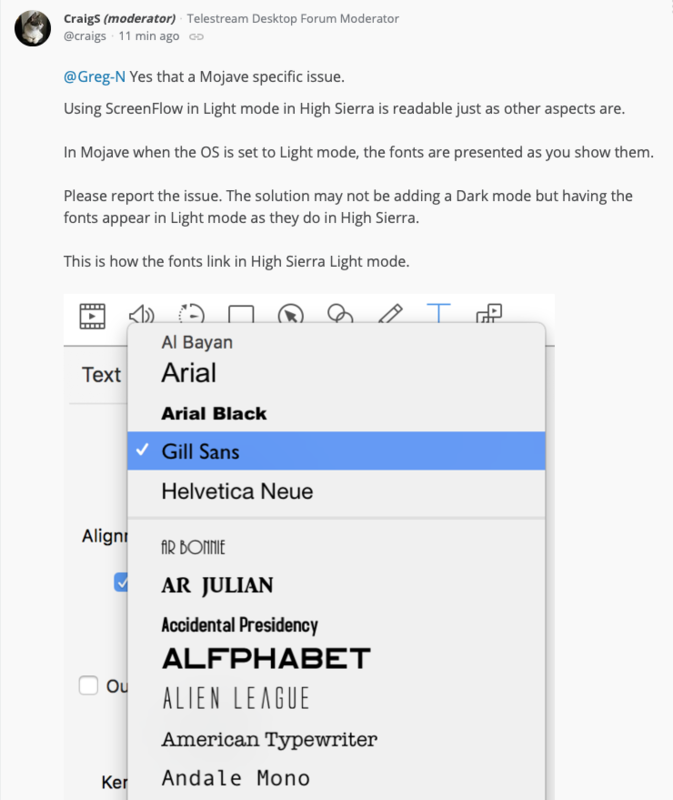 The solution may not be adding a Dark mode but having the fonts appear in Light mode as they do in High Sierra. 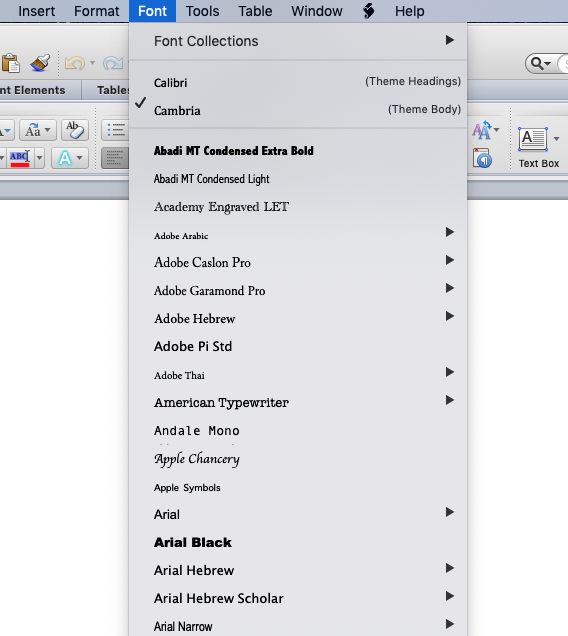 This is how the fonts link in High Sierra Light mode. CraigS I'm confused. You're saying that Apple requires you to do this, and you intend to follow that direction, but that I should submit a feature request anyway? Greg-N Please fill out the Support Form. This would most certainly be an issue not a feature request. That's why wording is important. Adding ScreenFlow Preference control over Mode in Mojave would be a Feature Request. 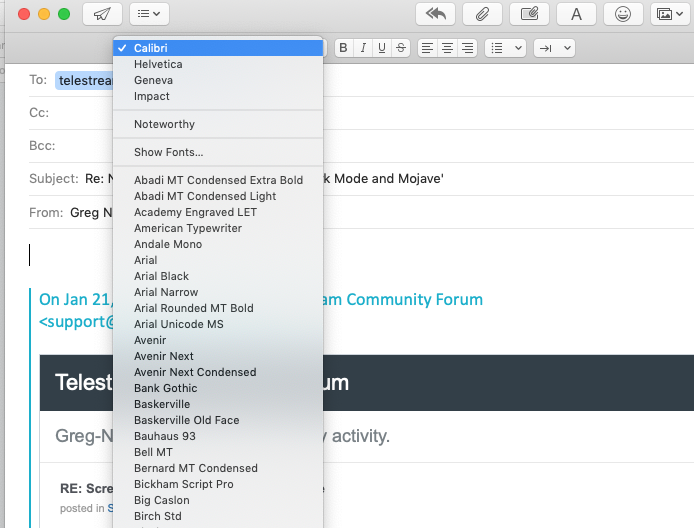 Making the fonts readable in Mojave Light Mode is an issue that must be fixed. CraigS I would except the support form does not allow me to upload images, and after this discussion it seems pretty likely that I wouldn't be able to get the point across using just my words. Greg-N You can link to screenshots and even link to this forum thread. Present the issue and allows the developers to determine the solution. 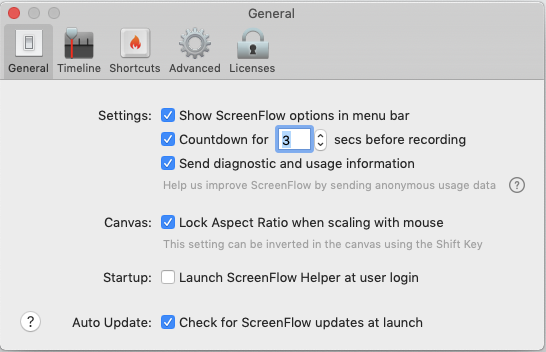 If you ask for a ScreenFlow Preference settings change they will see that as a feature request. This is an issue and must be presented as such and they will give you a case number while working on the fix. CraigS Okay, now I see. thresh out the issue here then link to this discussion. I hadn't thought of that as a way to get around the fact that the support form doesn't allow you to do just what you and I are doing here - discussing and developing the issue real-time, supported by visuals, so we both completely understand. Thanks. 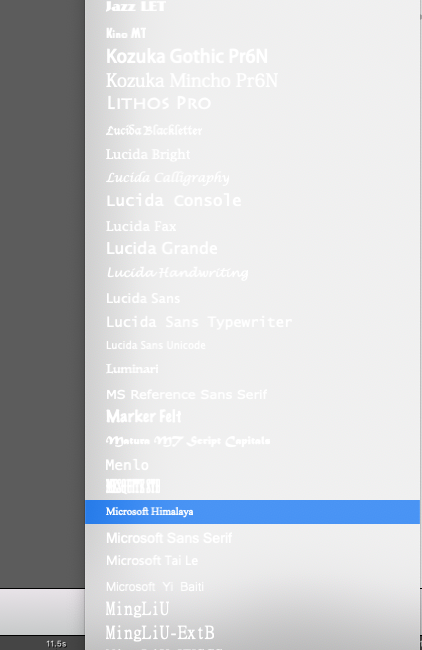 The font selection panel (i.e., the drop down menu that appears when selecting new fonts in the Text Properties panel when adding text to a project) is light text on a light background. This is very difficult to read/use in Screenflow 8.2.2 on a Mac with Mojave 10.14.2 set to Light mode/theme. The contrast should be changed in Screenflow to be like it was in High Sierra (per CraigS, Telestream Desktop Forum Moderator. See discussion at: https://telestreamforum.forumbee.com/t/x1bkgt?pg=1 between Greg-N and CraigS beginning on 20 Jan 2019. Greg-N Excellent. That should make the issue clear to the developers. Thanks for doing that. BTW - My workaround was to set my Mac to dark and light mode using a key command. Kenny Gioia NP. I didn't know there was a keyboard shortcut to do that. According to our engineers, this issue should be corrected in our upcoming ScreenFlow 8.2.3 update. We do not have a specific release date set for this right now, but it should be coming soon. I would guess within the next month or two. Thanks for sending in this bug report. I see exactly what you mean, the screenshots were quite helpful. I was able to replicate this behavior on my own computer and it does look like something we will need to correct for a future version. Our apologies for the inconvenience in the meantime. Greg-N Thanks for confirming a fix is on the way.